miRNAtarget is a software tool under continuous development for the analysis of the targets of differentially expressed miRNAs. 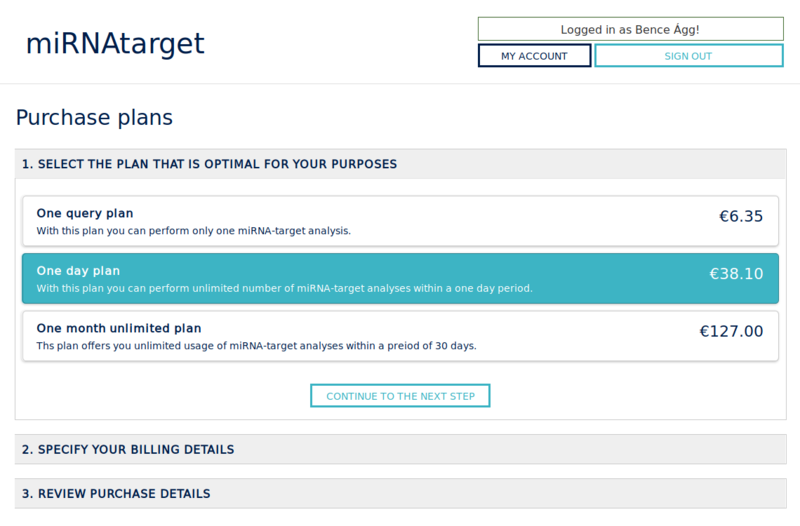 To perform miRNA-target analyses please signup and purchase a plan that is optimal for your purposes. Ágg B, Baranyai T, Makkos A, Vető B, Faragó N, Zvara Á, Giricz Z, Veres DV, Csermely P, Arányi T, Puskás LG, Varga ZV, Ferdinandy P.
MicroRNA interactome analysis predicts post-transcriptional regulation of ADRB2 and PPP3R1 in the hypercholesterolemic myocardium. Sci Rep. 2018 Jul 4;8(1):10134.
miRNAtarget was developed in the collaboration of the Pharmahungary Group and the Department of Pharmacology and Pharmacotherapy, Semmelweis University. This study was supported by the National Research, Development and Innovation Office of Hungary (NKFIA; National Heart Program NVKP-16-1-2016-0017). If you need technical support please contact businessdevelopment@pharmahungary.com. Please read Terms and Conditions of the miRNAtarget service.